Allow me to beckon you all around my virtual stall if you will, as for a moment at least, I will feel a little like a market trader as I present to you the Lexmark Platinum Pro905. Please don’t misunderstand my intentions though, I am no Delboy Trotter here with my suitcase full of unusual and bizarre merchandise. Instead I will be sharing with you wonderful news at the top of my voice for those who are actively seeking an economic printing solution and a host of other features. In the past, printers have lured us in with their irresistible pricing and reproduction quality, however in what only feels like the briefest of moments, you can sometimes find yourself receiving a most unwelcome shock when you realise that almost in no time at all you have reached the dreaded ink empty status. So here comes the promised good news you have been waiting for… Lexmark are confident that it will cost just a single penny and possibly even less to print a page containing a typical amount of text. Not only that, due to the quite large ink cartridges, you will be printing away for a ‘smile’ worthy time. So now you may be expecting a pretty average print quality for this saving, however after running a few tests myself, the text was not only readable, but extremely clear, comparing very well with other printers I have lurking around the house, that have a habit of sapping the life out of those smaller ink cartridges. For home users and for businesses, the need to replace ink is a necessity and one that can’t be avoided, so if you can reduce the overall cost of printing, it is sure to bring a huge amount of satisfaction for the ones who have to sign on the dotted line. We all seem to be tightening our purse strings lately and although this particular Lexmark All-in-One model may not be tempting you away from the possibly cheaper devices that print and very little else, you would be wise to consider the advantages of spending that little bit more and getting a fair few extra features for your hard earned cash. Not only will you receive a printer, but a scanner and a fax machine all in one handy device. If you were to purchase each of these devices separately, it would no doubt take a fair bit of desk space and a chunk out of your life savings. So why not consider having one unit that houses it all, whilst enjoying the additional functionality of having them all combined. For example, if you wish to create a copy of a letter, you will need a scanner to import the image to your computer and then a printer to give you the duplicate you desire. This means you have to mess about with two separate devices with different software, drivers, interfaces and hardware. With an All-in-One device, you can simply select the ‘Copy’ option and watch with glee as your document is duplicated in very little time and landing in your hands. This is so much easier! The Lexmark Platinum Pro905 features four colours, which include cyan, magenta, yellow and of course black. How many of us have found ourselves running out of one of the single colours and have had to purchase an entirely new replacement, which unfortunately houses all the colours in one single cartridge even though you may have a fair bit amount of blue and red left. Not exactly economical! This has thankfully been alleviated though, as you can buy each colour in its own individual cartridge. Not only that, but the actual cartridges are quite large, promising plenty of printing potential. To further the economic virtues of this product, a two-sided print option is also available. Rather than just printing on a single side of an A4 piece of paper, the Lexmark can pull the page back into its technological innards and with a clever paper juggling act, print on the other side as well. You never see the best selling books with text on just a single side as it wouldn’t be… Yes you guessed it… economical. You could attempt this manually with other printers, but it isn’t exactly practical or time efficient. There are also two paper trays, each capable of holding up to 150 pages. Why two I hear you say? Well one very good reason is it allows you to have twice the amount of paper sat there waiting in each tray for your next print job, secondly you can also have standard A4 paper in one tray and the more expensive special glossy photo sheets in the other or maybe for business users letter headed paper. Lifting the top of the Lexmark reveals an A4 sized scanning area. Here you can place documents, photographs and other media. Using the Lexmark’s screen, you can either send the scanned image to your computer, to a connected memory device (using the USB port) or have it create a version that is perfect for attaching to an email. You can control this functionality from the computer as well, but it is nice to be where the action is occurring sometimes. I believe most people will want the image imported straight on to their computer, so selecting this option the Lexmark will first ask which computer you wish to send to (particularly if you are on a network with numerous detectable devices) and then will cleverly scan the computer for compatible software for the image to appear in. You can also have it saved directly to a file if you wish to edit the image at a later date. You can also scan up to eight business cards and have them imported to your computer through Lotus Notes, Microsoft Outlook and other compatible software, placing the newly created digitised information into your existing contacts list. One of the more bulkier items can be a fax machine. Home users will probably receive a fax once in a blue moon, yet there the device sits waiting, slowly collecting dust until all of a sudden, that all-important document appears over the telephone line. Again this All-in-One device contains this functionality. Not only can you receive documents in this way, but you can also send of course. On the top of the Lexmark Platinum Pro905 there is another scanner, perfect for this purpose (saves you lifting the lid as well!). Simply follow the instructions on the screen and hey presto you have sent a fax. If you have collected a few computers over the years, no doubt they are now dotted around the home or a small business. One of the major issues is networking a printer to be shared among all your computers. Configuring different versions of Windows and Mac to connect without incident can be a challenge, unless the gods are truly looking down on you. The Lexmark Platinum Pro905 features a built in Ethernet port and Wi-Fi and it is the Wi-Fi part in particular that will be of major advantage. Without a network connection on your device, you would have to then connect via USB instead. This is perfectly fine for a single computer, but a lot more complicated if you wish to share the same device to multiple machines. Every version of Windows tends to have its own interpretation of how a device should be shared and installed over a network, which is a nightmare if your computers don’t all share the exact same version be it XP, Vista, 7 and so on. Cutting out this problem by using the Wireless or wired method is sheer bliss from an installation point of view. Connect your Lexmark to your wireless router and then with the installation software included on CD, begin printing, scanning and copying from any computer without a different method of setting it all up. The typical wireless standards of ‘b’ and ‘g’ are supported, but also the newer ‘n’ variant, which offers a potentially broader range and faster speeds. So no matter what wireless router you have running on your network, the Lexmark will have an easy time communicating with it and your other computers. You can also use the Ethernet port as well around the back of the Lexmark, although if you have wireless available, this is definitely the better choice to minimise on wires, particularly if you have to drape them through into other rooms. If you still aren’t persuaded and you wish to stick with just a standard USB connection, this is of course still an option. If you do indeed decide to have the Lexmark in another room, the software provides a handy progress bar when an operation is in action, so you can keep an eye on the device without physically keeping an eye on it. I must admit I love technology and sometimes I may get a little carried away if something starts to blink, flash or otherwise attract my roaming eyes. The screen on this Lexmark is another one of those features that had my attention as soon as I powered it on. This 4.3″ LCD screen is oozing with colour and fancy animations full of information and I couldn’t help but get caught up in the video demonstration that not only illuminated the screen, but also my interest. I must have spent twenty minutes just staring as you don’t usually expect a device such as this to feature such an amazing screen. To top it all, it is also a ‘touch’ screen. This is great as it means you don’t have to press corresponding arrows to move around the screen and then the various physical buttons that can represent so many different choices depending on which area you are currently viewing. Instead if you wish to scan, you simply press the screen where it gives you a graphical representation of this feature. If you wish to scroll the list of computers on your network, you simply slide your finger over the scroll bar. You can also check the ink levels directly from this same screen and even those who take an aversion to using new software, will feel quite at ease with the user friendly controls. You can actually avoid using a computer altogether on much of the functionality featured on the Lexmark Platinum Pro905 and with the built in memory card reader and USB stick port, printing a photo or two need not be a journey of loading software and selecting from a mass of options. Smart Solutions is a web enabled addition to the Lexmark, where you can create customised short-cuts to the more regular tasks without the need of configuration on each occasion and you can even tell it to display your favourite websites RSS feed, right there on the Lexmark screen. This means you can have the latest news headlines, weather reports or follow the Tech Depot Blog latest articles all again from that decent sized screen. Quite incredible when you think about it! If you are looking for an economic printing solution that features a quick and easy set-up, whilst also including scanning and fax flexibility, the Lexmark Platinum Pro905 All-in-One Inkjet has it all with a very handy touch screen to boot. The wired and wireless options for connection will free up your headaches when using multiple or even just a single machine, allowing you to have it placed right next to you or in a completely different room and to top it all you also enjoy peace of mind with a lengthy 5 year guarantee. 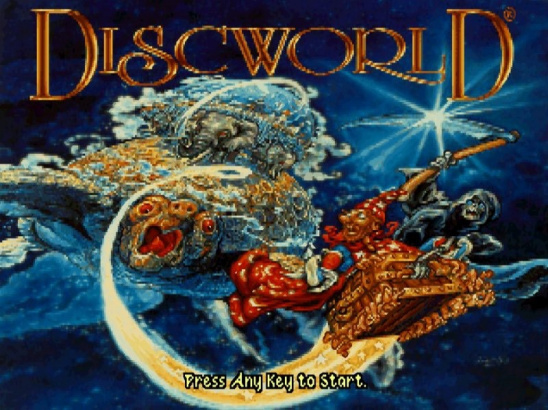 ← Previous Discworld Classic Point and Click Adventure – Did You Get the Number of that Donkey Cart?